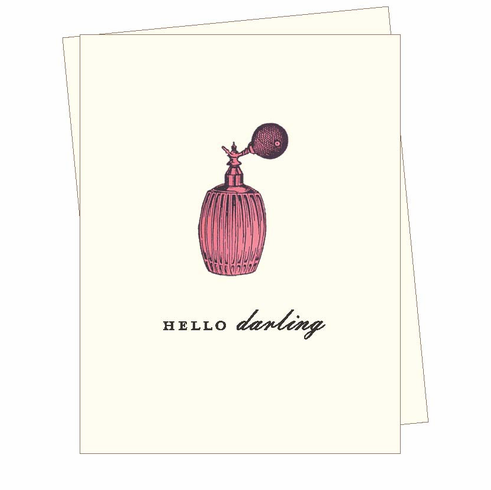 Hello Darling An illustration of an elegant perfume atomizer is paired with the text "Hello Darling." Do I hear a taffeta gown sweeping down the stairs? Blank inside.